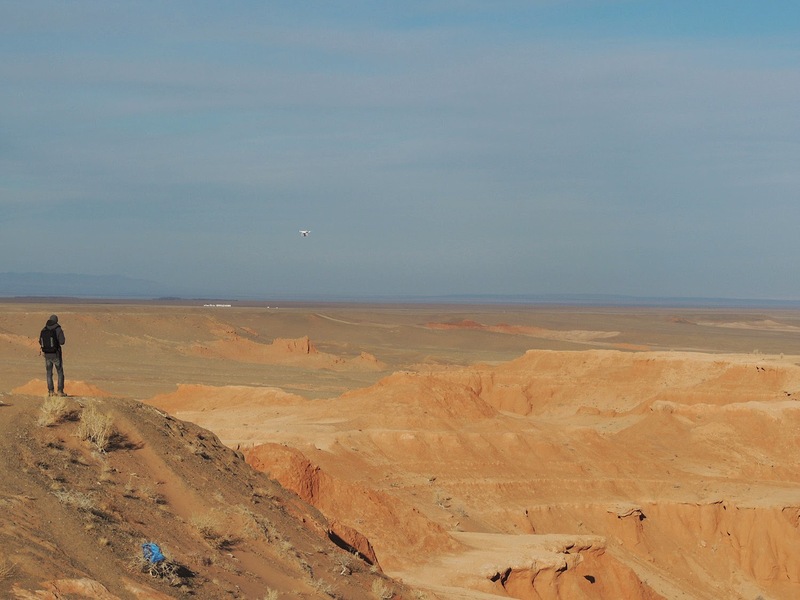 Just a few days to rest back in UlaanBaatar and off I went again to the Gobi Desert this time. I shared this adventure with a great Spanish girl, Corale. 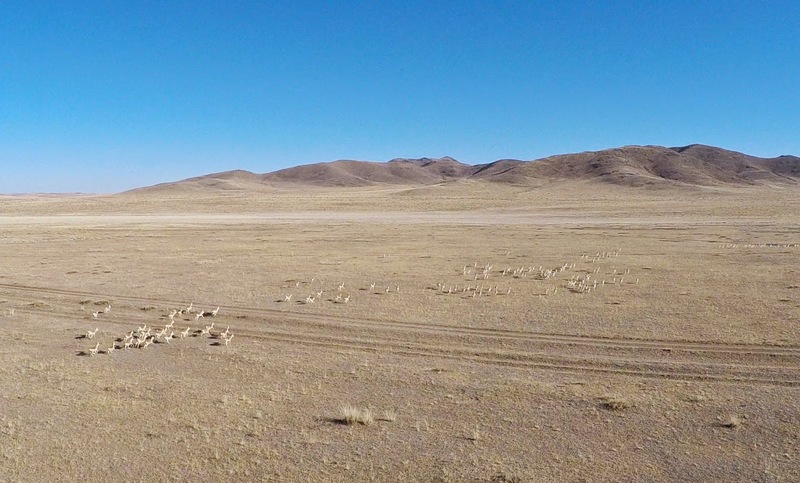 We've had been warned, prior to our departure, that the Gobi desert tour included a lot of driving - and that was the case. We probably spent something around 4 or 5 hours per day in the van. 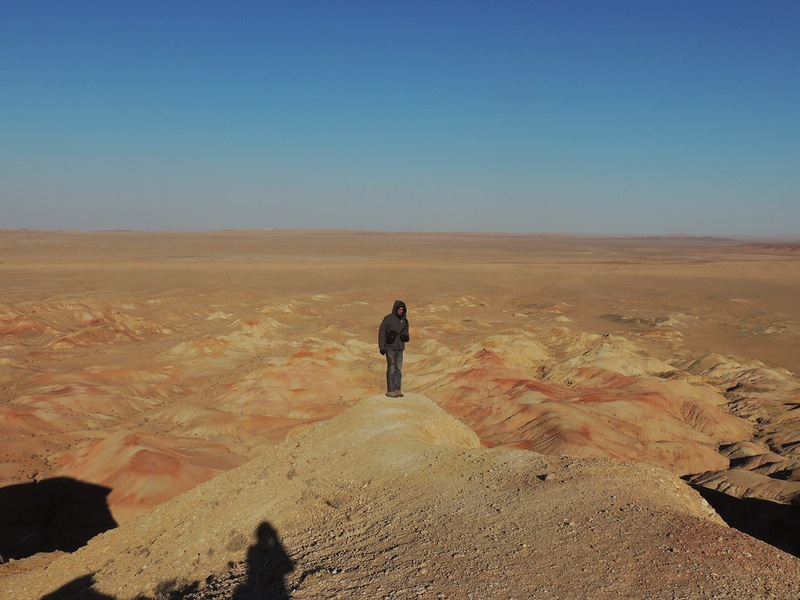 But the scenery is so beautiful - even though it is called desert, it is not just sand - that it makes it so much easier to endure. Our driver, Batsaihan also called Badgi - not sure of the spelling - first made some stops and introduced us to his fellow driver colleagues. We even went for a tea at one of his friend's house. Then we were on our way towards the Flamming Cliffs. 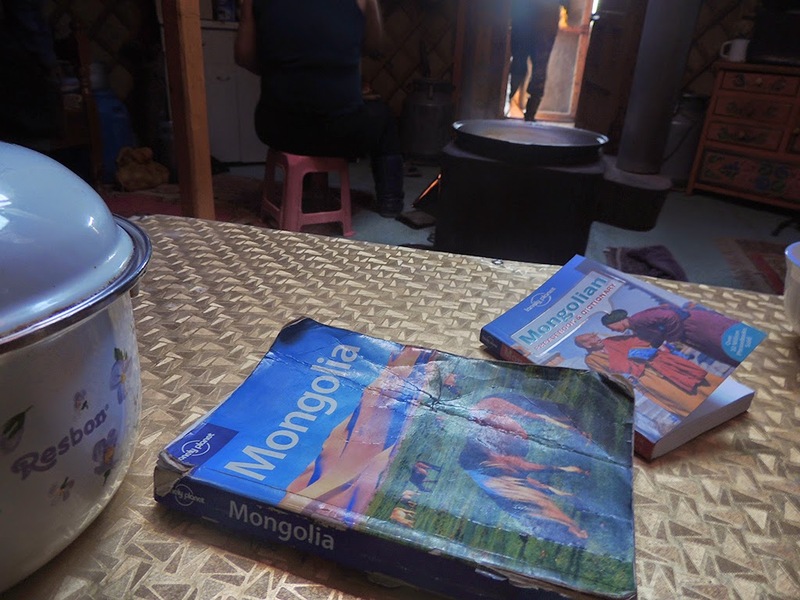 On the way we stopped for lunch, consisting, as in Central Mongolia of rice, meat and potato :). At some point we encountered a horde of gazelles. I was so excited to take out my quadcopter and try to film them. And I got a pretty nice footage of them running away. What a start! Another awesome thing that she brought - she was way more prepared than me - was a Jungle speed! If you don't know this game you should absolutely check it out. It is a lot of fun. I actually had discovered this game through a good friend in France just a couple of months before my trip so when Corale told me she had it with her I was both surprised and excited! We've introduced the game to each family we stayed at, as well as our driver. And they were quiet intrigued and willing to play. 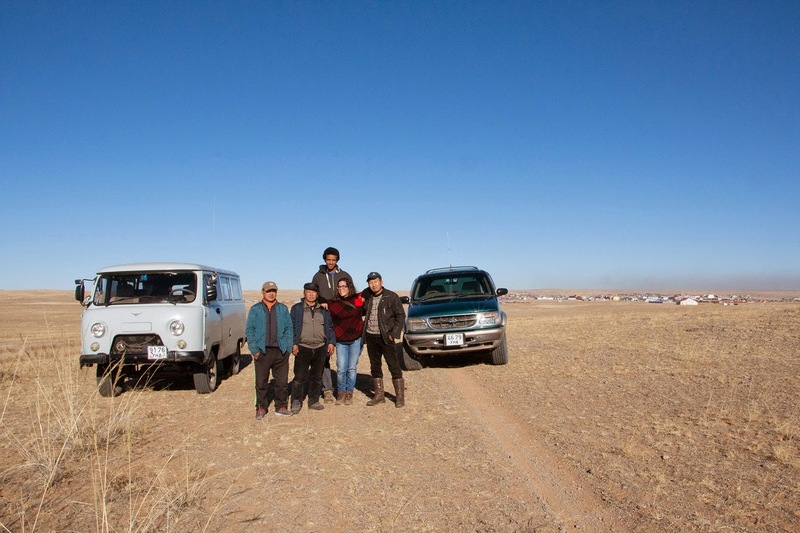 So we were in the middle of the Gobi desert playing Jungle speed with Mongolian people... Awesome! 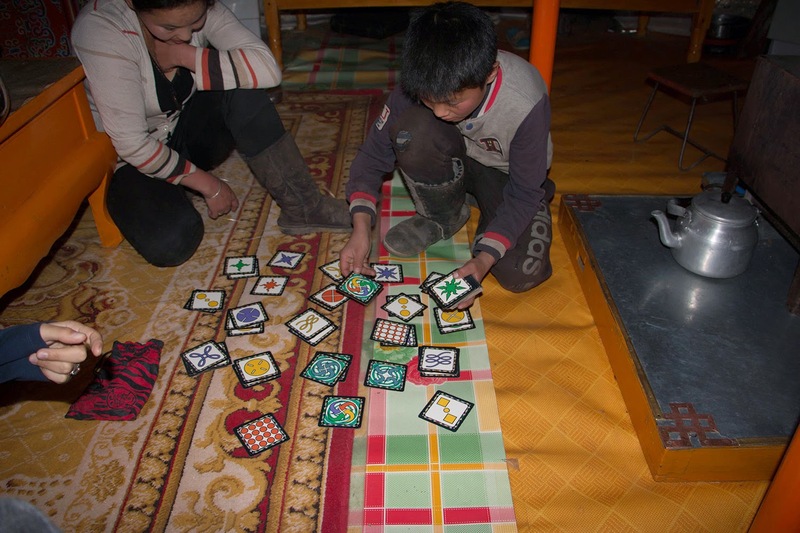 Playing Jungle speed in the middle of the Gobi Desert... Check! We spent our first night in the same ger as our host family, and in the morning, after a good breakfast, we headed to the Flamming cliffs. When we got there it was very windy, so, as you can imagine I was quiet disappointed to not be able to fly my quadcopter. And looking at how beautiful the scenery was, made it even more disappointing. But I decided that I had to give it a shot. So I took it out for only a couple of minutes, pretty much just went up and back down. We took some pictures and just wandered around on top of the cliffs, when suddenly the wind completely stopped. All of a sudden there was no wind... at all. I don't know if this happens every morning once the sun is high enough in the sky and the temperature rises, but it was perfect. I ran to the van where I had put back my quadcopter and took it out again for a nice flight over the cliffs. 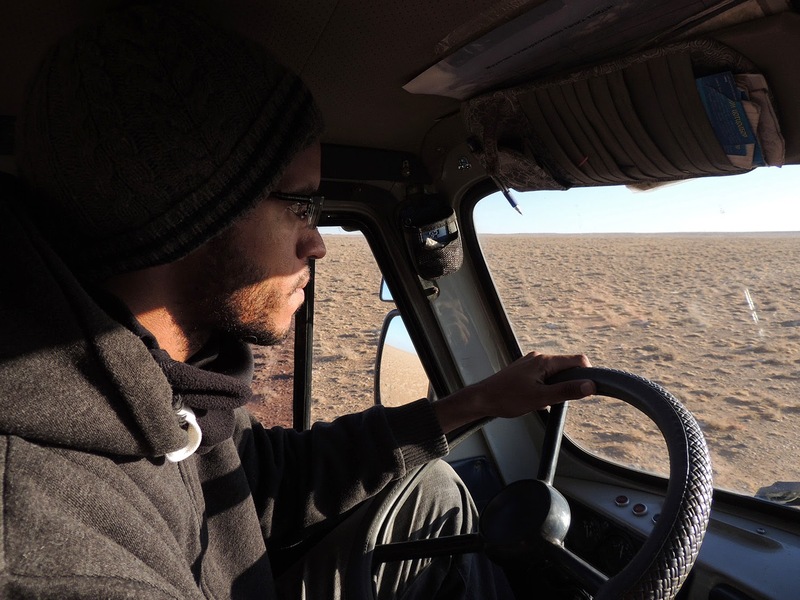 We then got back in the van and drove for a good 5 hours towards the sand dunes, our next destination. But after a few hours, there was no sign of dunes anywhere. 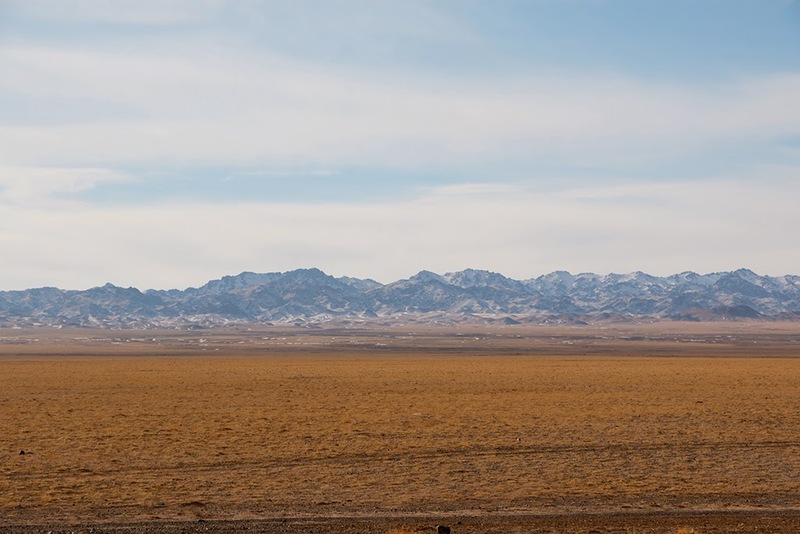 All we could see was a flat dry landscape in front of us and a mountain chain on our left. I remember telling to myself "We've been driving for quiet a while and there is no sign of sand dunes. And they are supposed to be huge so we should be able to see them from afar... What time are we gonna get there?!" But then the driver took a left turn... Yes, towards the mountain, which was covered in snow by the way, and we went through it. So in 10 minutes, we went from driving on dirt in the middle of the desert, to driving in the middle of a mountain on a snow-covered track. 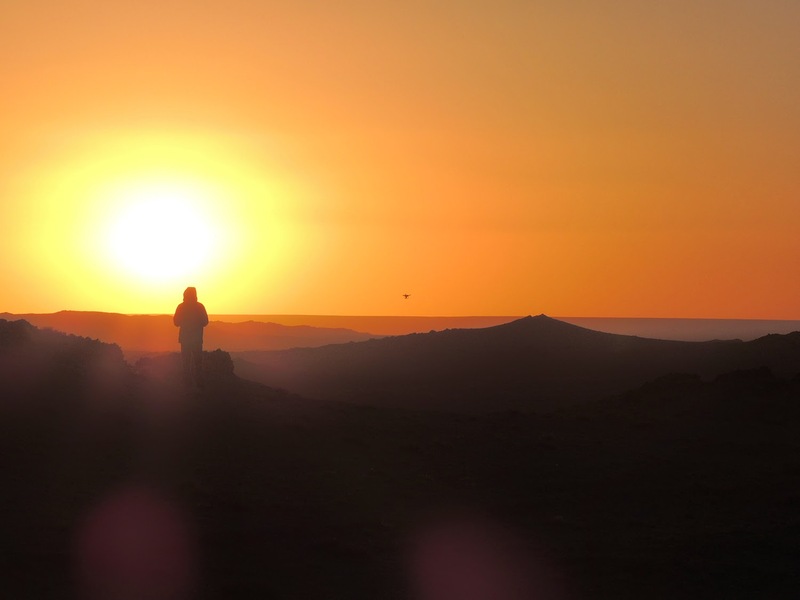 It was quiet amazing, but what followed was just breathtaking; as we reached the top of our mountain crossing and started heading nack down, on the horizon, slowly appearing, we could see the sand dunes. I mean, when I think back at this scenery I got to experience I still find it hard to believe, and even harder to describe. There is no word to describe it. As we drove towards, the sand dunes got bigger, and when we got to the bottom... they looked humongus. 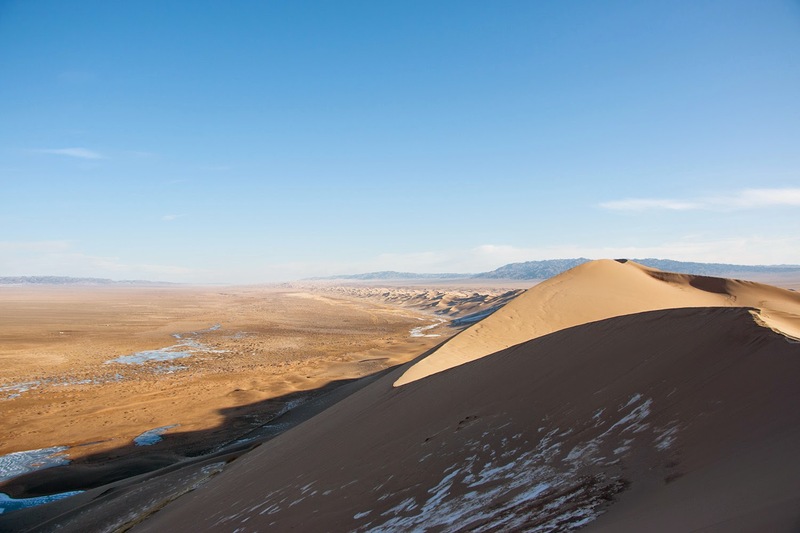 I mean no offense to the sand dunes in the death valley - which I had a lot of fun on when I went there - but they would look tiny next to the ones from the Gobi Desert. The biggest one is about 280 - 300m high! ... and getting to this scenery. We had about an hour to spend there, so we went for it and started climbing one of them. And it was hard, very hard. It starts nicely but it gets steep real quick. 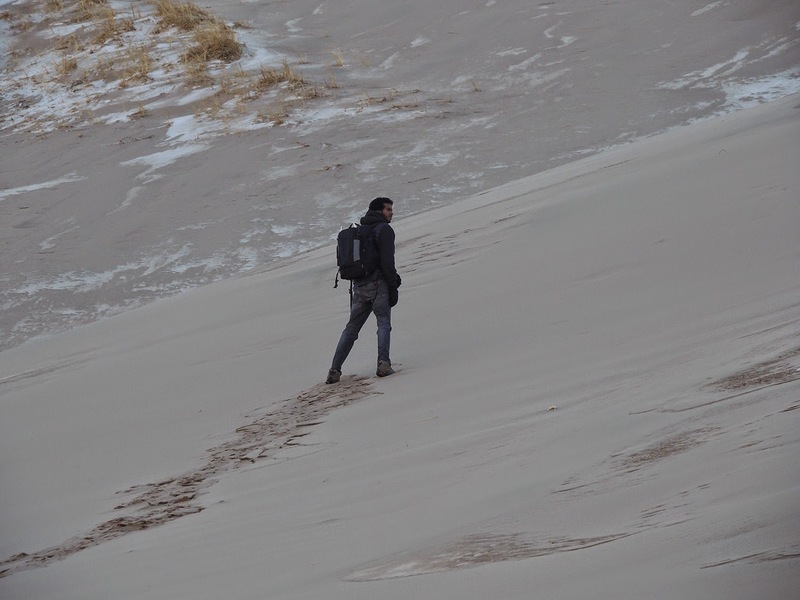 You try not to go too fast to save some energy because it is quiet of a hike, but you cannot take too much time between each step because... well it's sand, so if you don't move you slowly start drifting back down. 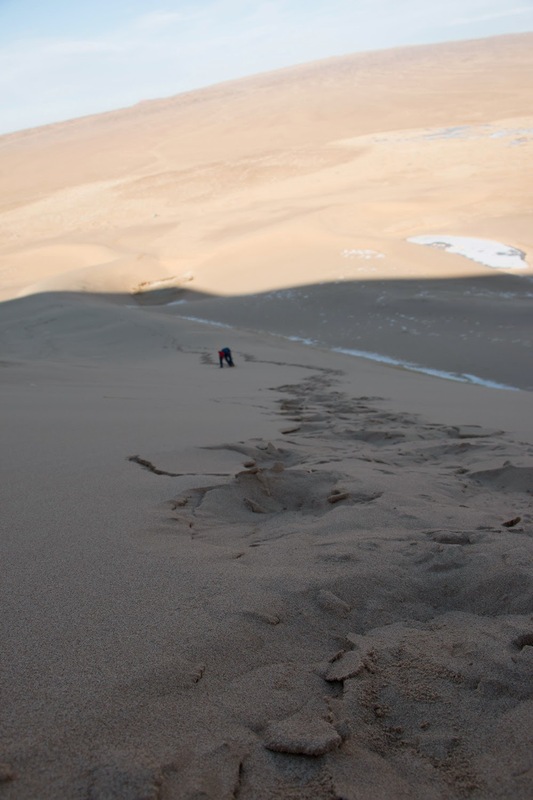 And as you get closer and closer to the top, it gets steeper to finally become a sand wall. 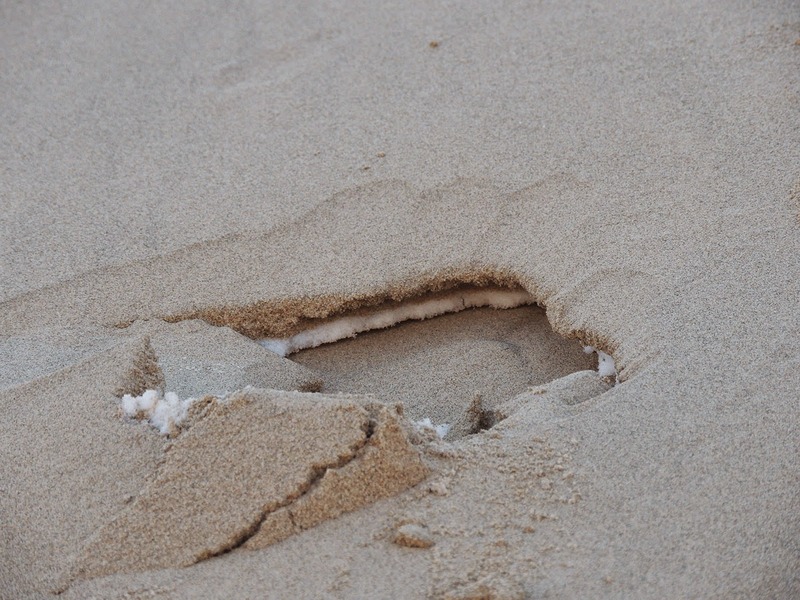 And on top of that, at this period there is a thin layer of snow/ice under the sand - yes snow and sand altogether. Crazy! - that you need to break to be able to have some stability and keep going. But it is worth it, so much worth it. The scenery up there was, once again, breath taking. sand dunes for kilometers and kilometers in front of us. We were exhausted and after all that effort, were not in a hurry to head back down. We just sat, and enjoyed. But once at the top, the reward is big! The family we stayed at that night owned camels and we did a 1h camel ride in the neighborhood :) I have found myself an interest in camels during my trip in Mongolia. I love them, they look so cool and ... IT'S SO FLUFFY !!! 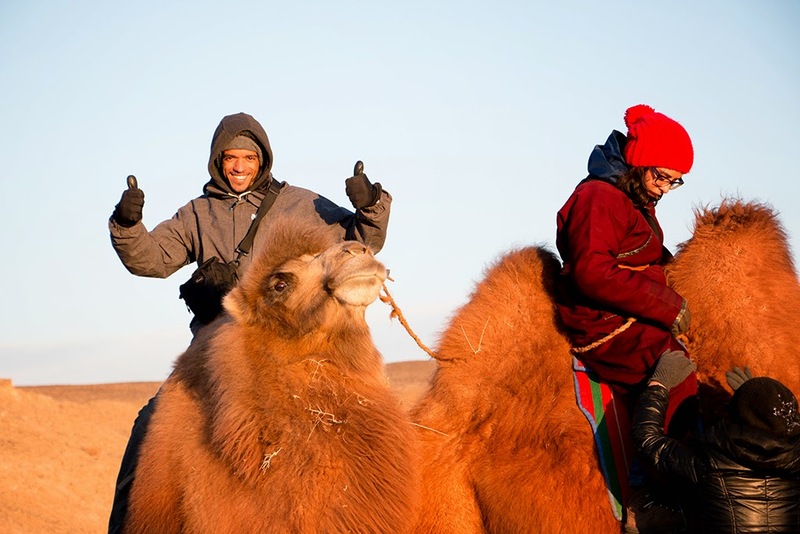 anyway, I don't know when is the next time I will encounter camels but I will a good souvenir of the Mongolian ones. Of the few of our next destinations, my two favourites were the White Stuppa and the Yolin am Ice Canyon. The latter was so massively impressive and windy. Another disapointment for not being able to fly my drone in this amazing spot. But after nearly 2 months travelling I'm starting to get used to it and don't feel that frustrated anymore. But in those situation I still can't help but thinking of what kind of shot I would take and what I would film if there was no wind. The white Stuppa was quiet a scenery too. Windy at the top but once we hiked down the cliffs, it was fine to fly, but low and not too far from the cliffs. And on the way back, our driver surprised us by letting us drive his van for a little bit. It was great to finally be able to drive this road monster. And it is not bas at all, it really feels like nothing can stop you. You can just drive, no matter what's up front. In the Yolin Am Ice Canyon. I was freezing... our guide was just fine. 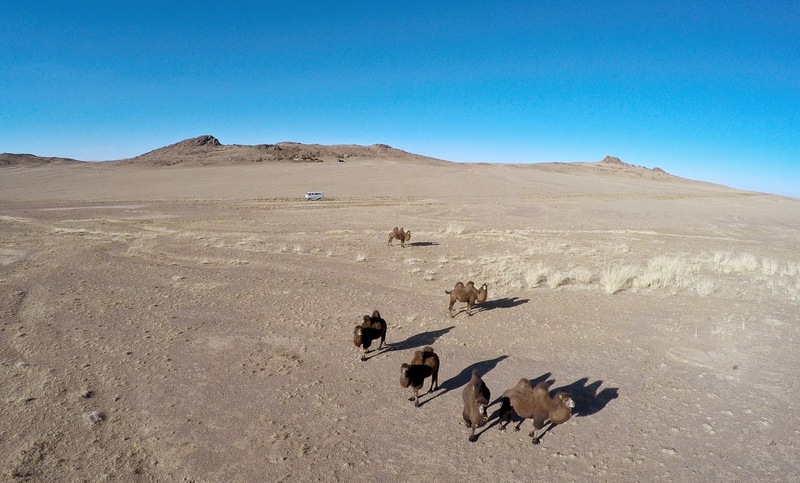 Visiting the Gobi desert was another great experience for me in Mongolia. Usually the first thing you think about when hearing "desert" is sand and dirt... 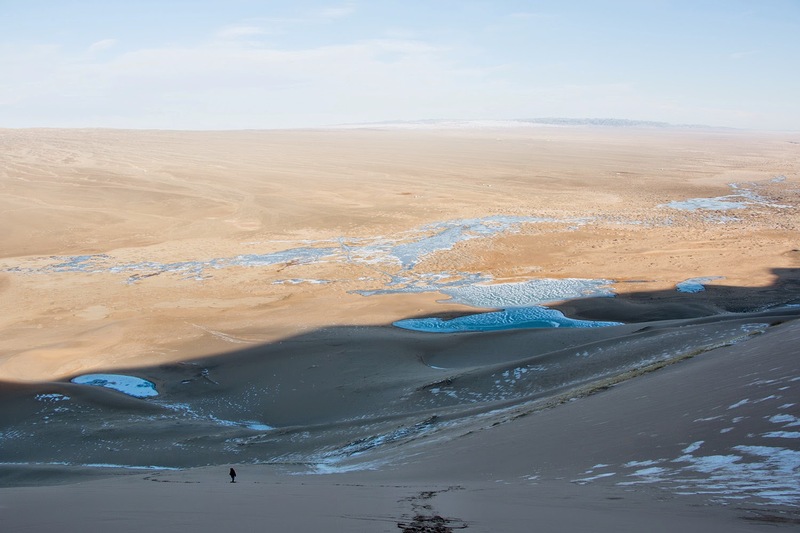 The Gobi desert is much more than that, the diversity of landscape is just amazing. 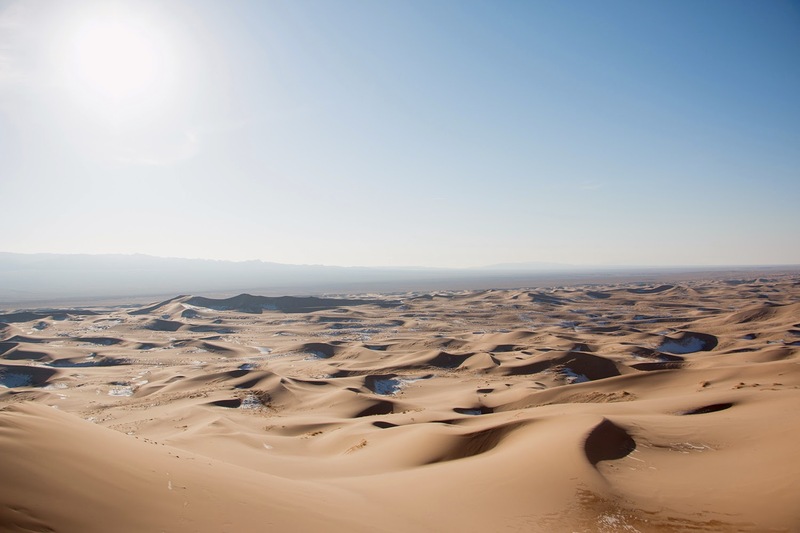 you can pass from dry dirt tracks to snowy mountains to gigantic sand dunes in just a few kilometers. 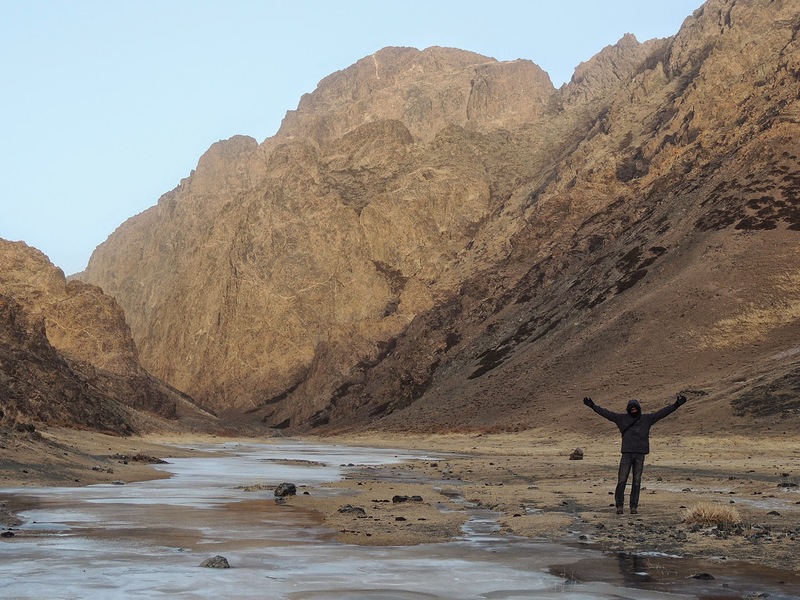 but it can also take hours and hours to reach your destination, and even more than in Central Mongolia, it's all flat and almost impossible to know where you're heading unless you just know it. The drivers that you get on those tours are just amazing. Badgi was a tour driver in summer and an ambulance driver in winter! 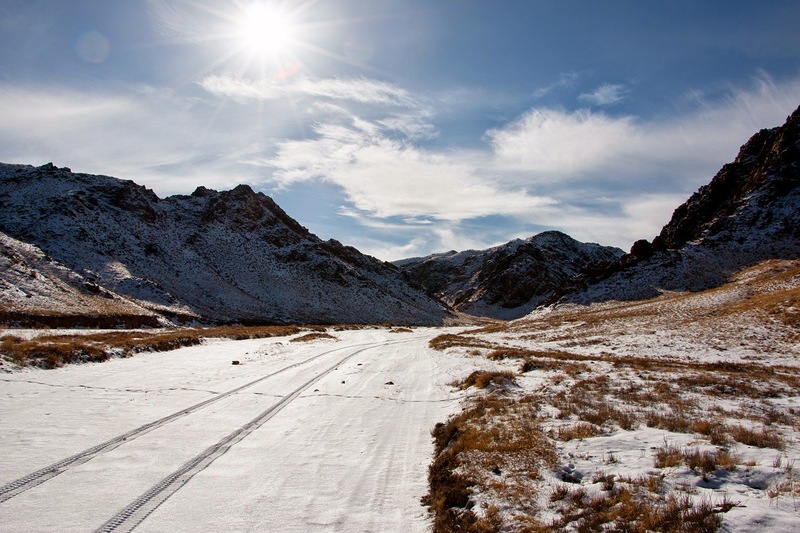 Mongolia is an amazing country. I had heard really good thing about it from people who went there and was very anxious to visit it myself. One thing I can say is that I was not disappointed. But surprisingly it is rarely on the top destinations list of people. 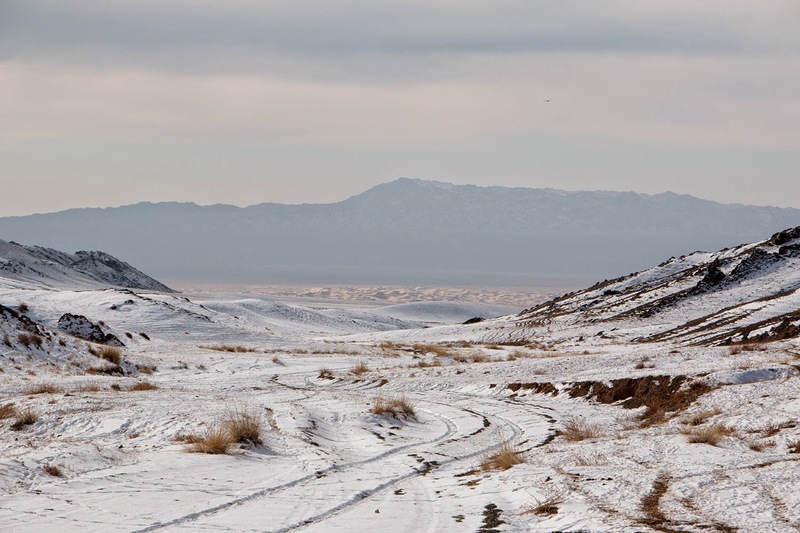 Having visited Mongolia in November, if you need to get away from the crowd, it is the place and time to go. 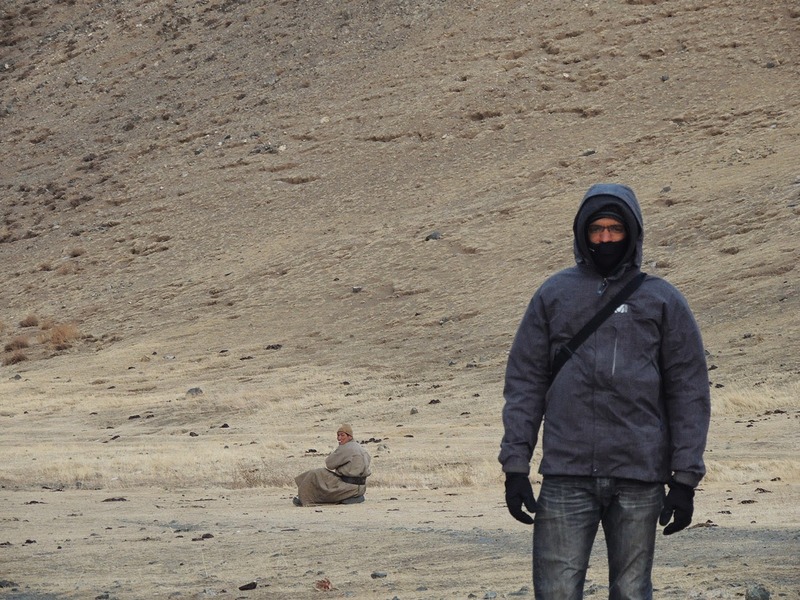 As soon as you will get out of Ulaanbataar, you will have nothing around you. I have been told that in summer there is way more tourist vans driving around. 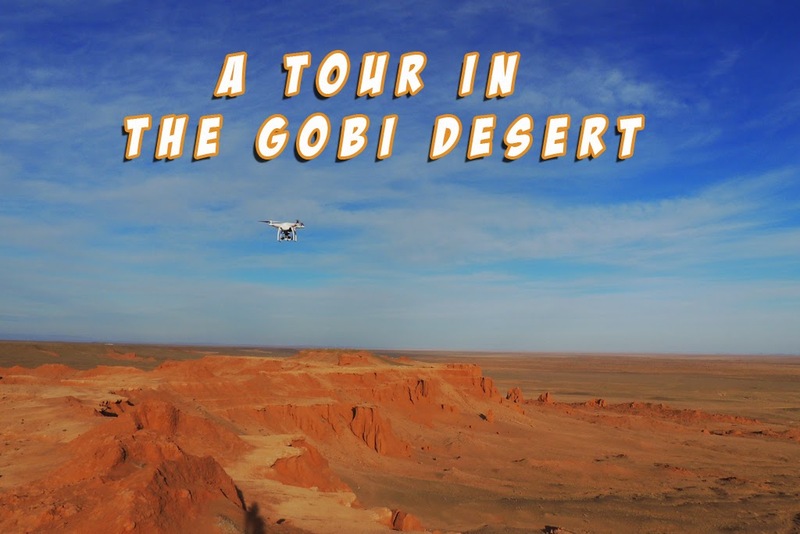 What was your experience in the Gobi desert like? Have you been there in summer or winter?